CPU Vice President for Student Affairs, Rev. Joniel Howard H. Gico and CPU Vice President for Finance and Administration, Dr. Florence P. Bogacia together with CPU Office of Communications Director, Rev. 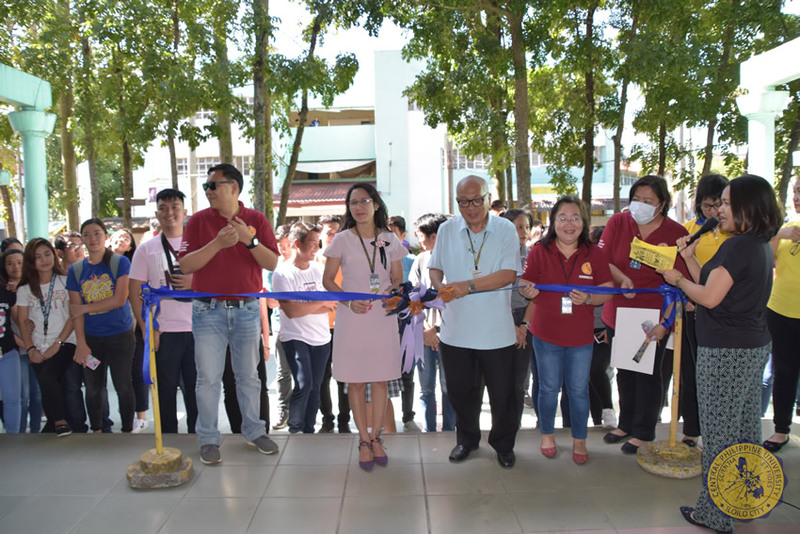 Francis Neil G. Jalando-on and Student Development Programs Director, Dr. Margen A. Java led the ribbon cutting to officially start the exhibit. The Annual Evaluation and Exhibits of Students Campus Organizations this year was held from February 6 to 7 at the Alumni Promenade and Concert Park. The committee, chaired by CPU Student Development and Programs Director, Dr. Margen A. Java, worked in cooperation with the leaders and members of different student campus organizations. The opening celebration was held on the first day with a ribbon cutting ceremony attended by Vice President for Student Affairs, Rev. Joniel Howard H. Gico; Vice President for Finance and Administration, Dr. Florence P. Bogacia; Director of Communications, Rev. Francis Neil G. Jalando-on; Cultural Affairs Office Coordinator, Ms. Crista Huyong, and Dr. Margen A. Java. 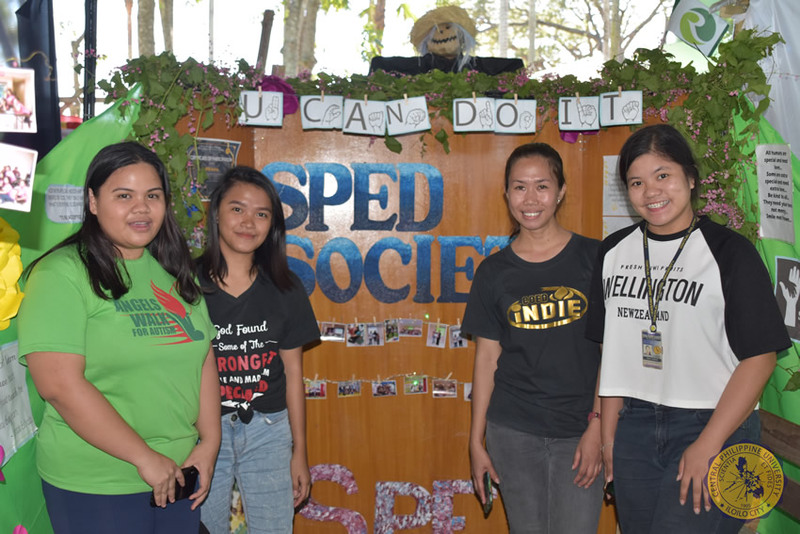 CPU SPED Society highlighted their advocacies in their booth. The annual event requires each student organization to be accredited before joining the exhibit. The organizations are responsible for putting up exhibit booths at the Promenade and the Half-moon Drive. The display items include representations of academic, community, and civic organizations. The displays made by the College of Engineering were interesting and aptly represented the Civil, Mechanical, Electrical, Software and Packaging Engineering. 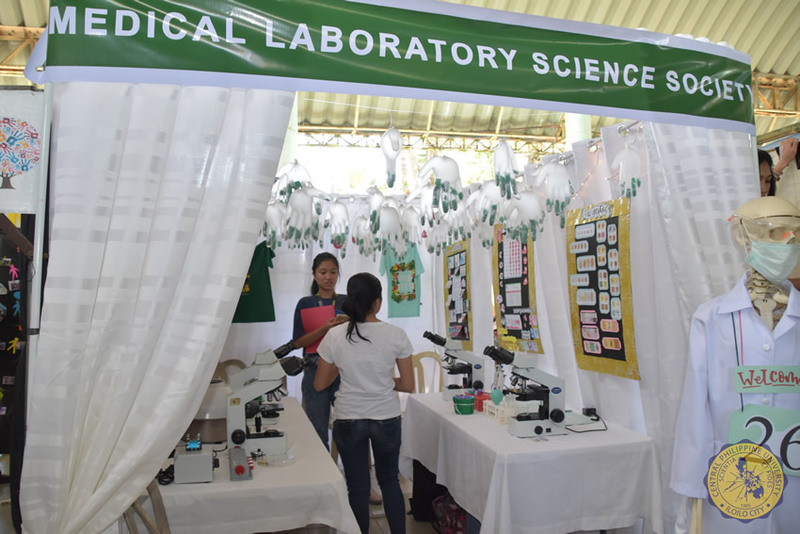 The CPU Medical Laboratory Science Society showcased laboratory equipment and devices during the exhibit. The Institute of Packaging Professionals’ booth highlighted ingenuity and creativity. For Recel Joy Debil, booth manager of the Institute of Packaging Professionals-CPU Student Chapter exhibit booth, she enjoys having her concept included among the display. 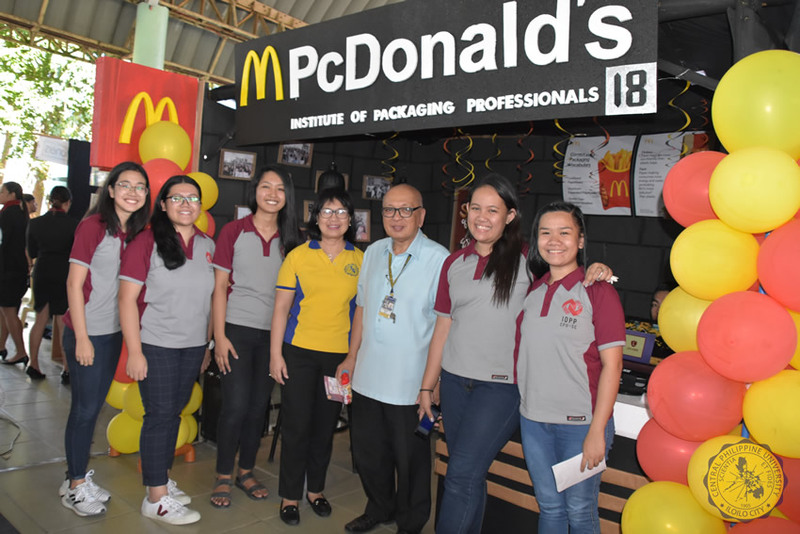 Their booth included various packaging materials and designs used by McDonalds. A batch of students from the College of Hospitality Management, who appropriately presented themselves in suits, created an attractive hotel and resort setting in their booth. The closing celebration was held at 4 in the afternoon of February 7, after the judges had decided on the winners for Best Exhibits, Best Student Organization, Best Adviser, and other consolation prizes.